Eliminating that morning ‘Cup of Joe,’ consuming processed foods high in nitrites or monosodium glutamate (MSG) and enjoying too much alcohol are potential headache triggers for individuals battling migraines, says Vincent Martin, MD, professor in the Department of Internal Medicine at the University of Cincinnati (UC) College of Medicine. Martin’s two-part review, “Diet and Headache” is available online in the scholarly publication Headache: The Journal of Head and Face Pain. It is co-authored by Brinder Vij, MD, associate professor in the UC Department of Neurology and Rehabilitation Medicine. That said, too much coffee may also present a risk, no more than 400 milligrams daily—one cup is 125 milligrams—is probably the maximum for migraine patients, says Martin. “Large amounts of caffeine can bring on anxiety and depressive symptoms as well as headaches,” he explains. 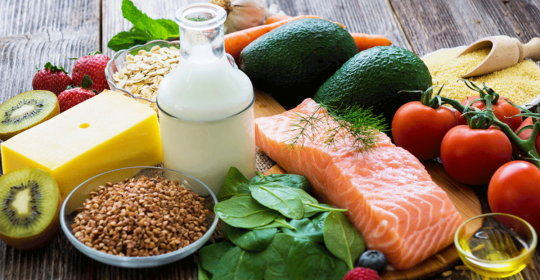 “The beauty of these diets is that they not only reduce headaches, but may produce weight loss and prevent heart disease”, says Vij ,a UC Health physician.